The Costume Society was founded 50 years ago, so what more appropriate a subject for discussion than the very decade of foundation. Whether looking back through rose-tinted glasses or psychedelic spectacles, the sixties were certainly a phenomenon, the effects of which rippled across the globe. 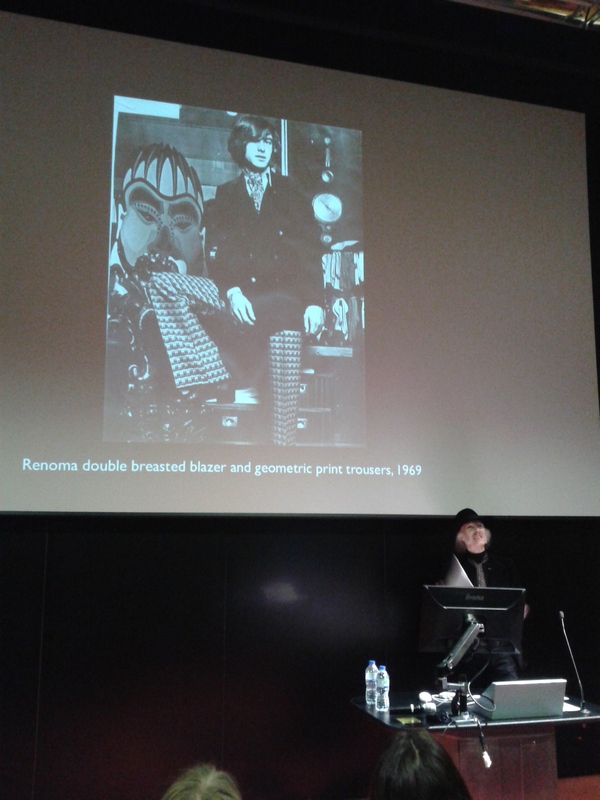 The study day, held at the London College of Fashion, intended to look past the mythology of “Swinging London”, with a diverse selection of speakers discussing overlooked aspects of the decade, the people and the fashions that defined it. The morning began with an overview of designer Barbara Hulaniki’s career by museum curator Martin Pel with Unseen Biba. Having curated the successful exhibition at Brighton Museum, Biba and Beyond; Barbara Hulanicki in 2012, Pel shared insights into the creative mind behind the revolutionary iconic brand. Angela Smith, an expert in 1960s and 1970s clothing, led us through the “Youth-boutiques” of London in the talk Utopia and the 1960s Counter Culture: Cosmic Couture and Fantasy Visions as she discussed how the trends, stores and philosophies grew over the decade for the trendy it-crowd. Foundation for Freedom St. Michael underwear in the 60s, brought us to the familiar highstreet staple Marks and Spencers, with recent MA History and Culture of Fashion graduate Lorraine Hamilton Smith highlighting the various attitudes towards undergarments as seen through the store’s internal paper, St. Michael News. Notable fashion designer, Sylvia Ayton MBE, transported us through her experience of finishing art school to design at the centre of a youthquake, as she discussed The Phenomenon of the Swinging 60s. Along with pieces from her own archive, Ayton recounted how she and Dame Zandra Rhodes would navigate the tube clutching pattern blocks and bolts of fabric to factories at a time where it seemed the youth would inherit the earth. 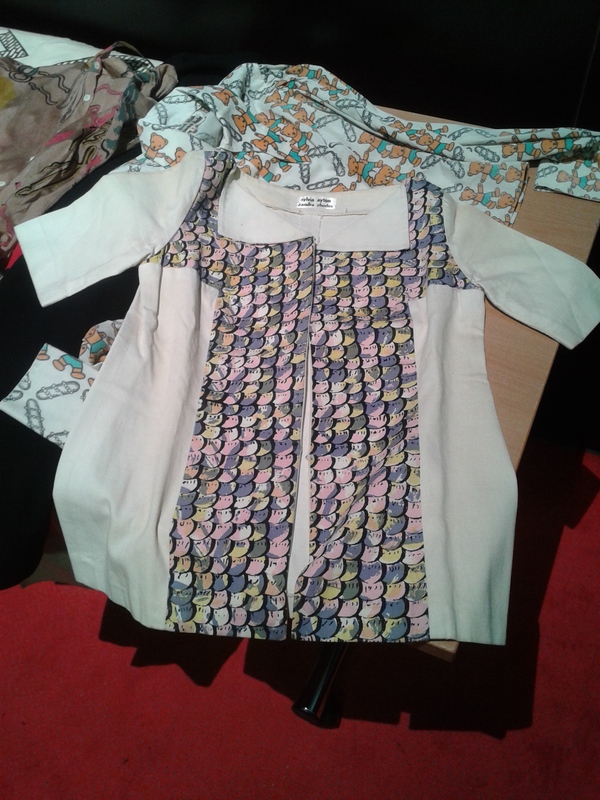 Dress historian Jade Halbert followed with a portion of her PhD research to discuss Marion Donaldson: From Carnaby Street to Sauchiehall Street, an alternative view at young “with-it” people who lived away from London, and the Scottish design team celebrated by the press for bringing boutiques to Glasgow. 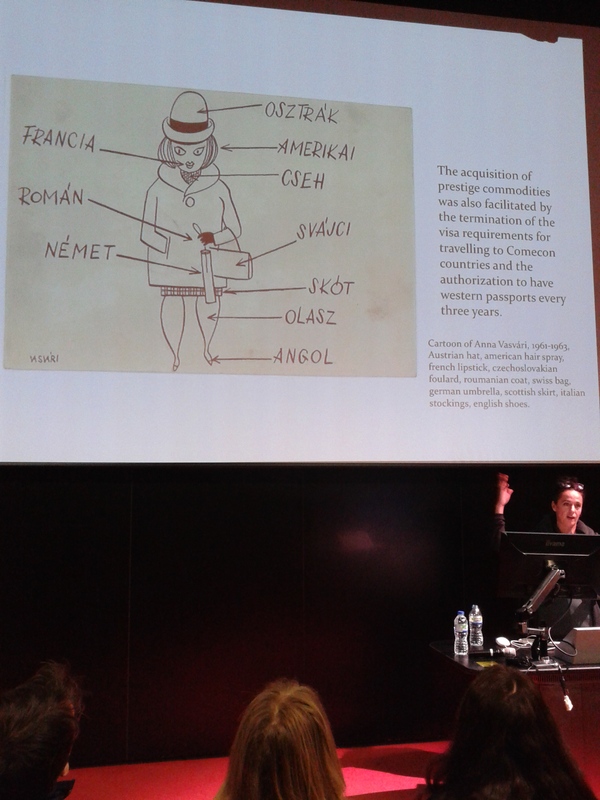 In Socialist Good Taste and the Mini Skirt – the Influence of Swinging London on Hungarian Fashion, Ildiko Simonovics gave a fascinating insight into how styles from Paris and London were translated into acceptably socialist garments. 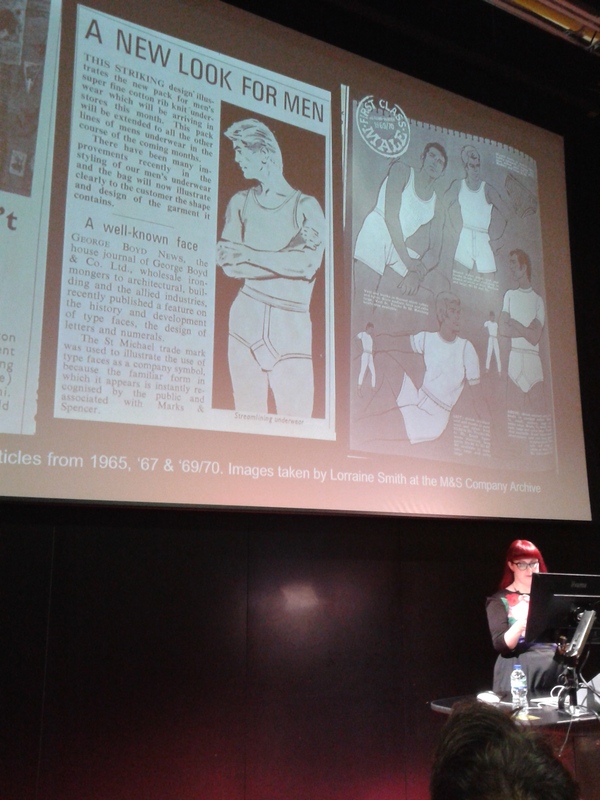 The art historian and curator of the Textile Collection of Kiscelli Museum in Budapest discussed how fashion disseminated into Hungary over the period, showing how magazines would crop images above the knee to avoid revealing the true lengths of a miniskirt. The final talk of the day was an insight into the subcultures pf Paris by writer Vadim Kosmos. Swinging Paris: Les Minets, Renoma and La Bande du Drugstore 1963-68. Despite prevailing assumptions that there was no youth scene in France, Kosmos introduced us to the boys who hung out at the trendy Le Drugstore Publicis and the tailors that broke convention for Conservative, Catholic France. The day was not only a fascinating look back at the impact of clothing in the decade of the Society’s inception, but a stimulating chance for enthusiasts to come together with the shared purpose of taking fashion seriously. The study of fashion has gained much authority over the past 50 years and as the field has grown so has the society, I personally am thrilled to see what evolutions come over the next 50 years. But to return to the question at hand… Did the 60s swing? In my opinion, you’d only know if you were swinging with it!